The city of Jaipur is painted beautifully in pink sandstone and its walls are perfumed with history and heritage, telling stories of the Royals from the fifteenth century. 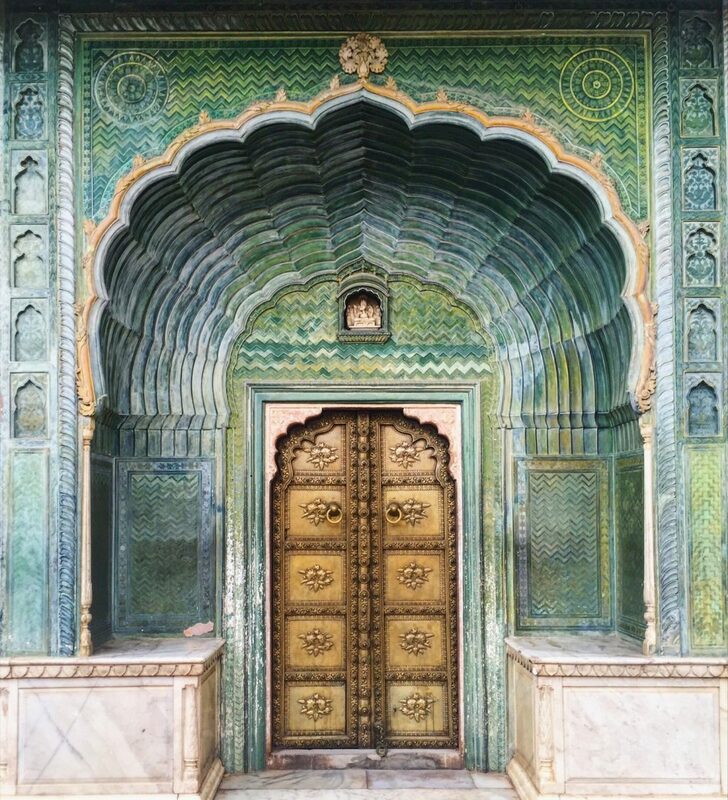 The most beautiful façades in the City Palace are of the majestic doors. I find doors incredibly fascinating; the mysterious thrill of what lies behind, the meticulous patterns adorning them, the stories that they hold within the walls they enclose, the scents of nostalgia and centuries of history engrained in their essence. The doors carry traces of a lineage that has walked through them, they carry the artistry of their makers, and the sheer magnitude of such regal doors stirs the heart with a curiosity for all the stories that were lived and left behind. Anushka Gupta is a storyteller, writer and branding professional from Bombay, India. She runs a branding company titled StoryoftheBrand and finds love in crafting stories from everything around her. She is also the author of a poetry collection titled Visual Words. She draws inspiration from the ever-changing sky and metamorphosing colours of sunsets, with the moon as her muse. Beautiful buildings, ancient architecture, history and heritage fill her photographs during life and travel. Find her on Instagram.